Simon Says Stamp was founded in 2002 with an interest in exclusively selling rubber stamps. It didn’t take long until we realized we couldn’t stop there. Over the past 10 years we celebrate rubber stamping in its full glory by giving access to people around the world to a one stop shop. Rubber stamps still remain the heart of our business and we are celebrating by hosting a STAMPtember ™ event intended to inspire, educate, and celebrate the greatness of rubber stamping. Part of the enticement of rubber stamping is that stamps can be used in creating or complementing ANYTHING! From stamping dates on bank documents and postage parcels in the early 18th century, rubber stamping has dramatically expanded to include card making,scrapbooking, mixed media and many forms of altering and expressing art. YOU could be the lucky winner of our GRAND PRIZE $100 Simon Shopping Spree! All of the Design Team and our lovely Designer in the September Spotlight, Shannan, have made a special handmade work of art to share with you and we all have a special prize on our blogs too! Thanks for nice Blog Hop. The cards by DT ladies are fantastic! Enjoyed the hop & entered my card. Wow, so many great uses for washi tape, can't wait to play with mine now. Thanks for a great hop with so many fab ideas. Thanks for all the incredible inspiration from this hop!! SSS, you're AWESOME!!! Thanks for the hop ...awesome Washi inspiration! will be back with my card! 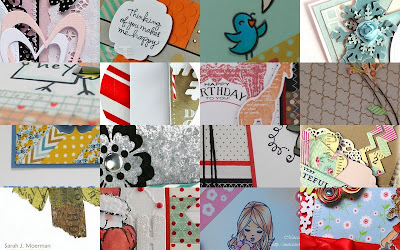 Awesome cards in the blog hop. Now I'm off to "put a stamp on it!" Such fabulous makes! Love what everybody did with the tape! The hop was fun~thank you! Great designers. Lots of fun. I'm really enjoying STAMPtember. great hop, it certainy opened my eyes to many ways to use the washi tape. My brain is already on inspiration overload with this blog hop - lol! So much to take in and try at a later date! And more artists to follow as they create more art. Yes! Fabulous hop! Every project was so gorgeous and creative! Thanks for the inspiration! Love the blog hop! Wonderful cards by all the DT! Thanks so much for the inspiration and for this great challenge! Thanks for a fun challenge and an amazing blog hop!! Such inspiration! You all ROCK! how cool! I will be working on my card at my crop this weekend! Thanks for a wonderful blog hop - the DT creations were AWESOME!!! Totally enjoyed the hop! Now to get creating myself! What a fantastic hope - amazing creations by everyone. I have entered a card - nothing like all the other creations though:-) TFS and have a great day. Great hop- your DT is such a talented group of ladies! Now I need to go get crafty! It was great to see all the different cards. Thanks for all your creative work. I can't wait to play around with this...the cards from the DT are just awesome! Thanks so much! O my gosh, so many charming creations! Just gorgeous! It was a great blog hop--I like the creative uses of washi tape. Such a great hop...always like finding out new ways to use washi tape...thanks. What a terrific bloghop. I got so many ideas for washi and creating texture. Thanks for the opportunity to learn something new and fresh. Wow, I love all the creations from the DT, the hop was really good fun. Thanks for this week's challenge. It means I have a good excuse to get all inky instead of using digis!! Such a wonderful hop. Just finished visiting all the blogs and leaving comments. Great work done by all the DT Members. Great blog hop! Now I have to get stamping and enter the challenge! Wonderful blog hop!! I enjoyed every card and have joined in the fun!! Thanks for the chance(s) to win!! Fun hop. Great creations. Thank you. Very useful blog hop. I saw a lot ideas for my Christmas cards, thanks to everybody. Such a fun blog hop! Love all the washi goodness and I hope to enter the challenge! Thanks for the inspiration--the DT did an awesome job! Such an inspiring blog hop! Can't wait to play! Thank you for the wonderful blog hop! It was full of amazing and diverse inspiration! thanks for the blog hop! beautiful creations all along the way! What a fantastic blog hop and generous prize!!! I'm off to make a card right now!!! FUN! Fantastic blog hop! Lots of clever ideas! Thanks for the blog hop. Got lots of ideas for washi tape. What fun and loved all the different uses of washi. Thanks for sharing your talent with us! Fun hop! I love visiting so many new-to-me blogs! Lots of clever ideas! Gorgeous DT inspirations...love the new Stamptember products and giveaways!! Can't wait to join in..
Great inspiration throughout the hop. I think I may have to reenter because my first card has a digi in addition to the regular stamping. I guess it's a good excuse to get back in the craft room! Thanks for the lovely hop! Lots of great inspiration along the way, loved it! Thanks for the hop ...awesome Washi inspiration! Thanks for the great bloghop. Loved all the cards and fall in love with the washi tape. What a great stuff. It´s nice that you do things like this. Love your shop! Yay!!! i hopped all the way. All the DT cards were so great and so many different ways to use tape. Thanks for the fun. Just a super amazing hop! The dt are so talented and I found some great uses for my good old washi tape! Congrats on your 10th anniversary, and thanks for such a fun hop and challenge! What fantastic cards each designer created. Lots of inspiration. I have commented at each stop, now it is time to get creating and enter my own project! Thank you for a wonderful hop and the chance to win such amazingly generous prizes! Fab cards! Thanks for the chance to win. Wow!! this has been an amazing blog hop, so many different ways to use Washi tape. Thanks to the DT for all the inspiration. Off to create a little something. Such talented people with great ideas. Thanks for the hop and inspiration. Love your blog hops. They have opened my eyes to so many talented designers! Wow!! What a fantastic blog hop with a lot of very creative designs using Washi tape!! Brilliant challenge too!! Well, I think I know what to do with washi tape now. Thanks for all the creative ideas. Fabulous blog hop! I love all of the creative ways shown to use washi tape! Congrats on 10 years! I finished the hop and added a card. I hopped till I dropped! Thanks for all the fun! Loved seeing all the washi tape ideas. Off to get some for self. Washi tape is one of my favorites! So happy to see it finally catch on (no more ordering from japan!) Great ideas presented in the blog hop! Thanks for the fun and inspiring hop. Now...off to create something. Thanks for the hop...great inspiration along the way!! Fantastic blog hop! Your DT is awesome!!! Thanks for the chance at such fab prizes!!! What a great job the DT did. Those card are so lovely! Thanks for the fun Hop. Loved all the creations. Thanks for the inspirational trip!!! What a great hop! Thanks for all of the inspiration! I appreciated this hop....SO much inspiration along the way. Truly worth the time, as SSS is my favorite on-line store. Great challenge and hop. I thank you all for making it happen! That was a very creative hop you sent us on! Thanks for all the inspiration. Thanks for the fantastic blog hop. I got a lot of inspiration from your design team. The blog hop was an eye opener for all the creative ideas out there! Thank you! I love all the ideas, great DT members. Thanks for the hop. great job by all the dt! awesome blog hop and great challenge! What an awesome blog hop. Beautiful work everyone. thanks for a great blog hop. I was able to leave comments at all but Laurel's :( hope I'm not DQ'd for that! Loved going to all the blogs. Wow very talented ladies.Left a comment on all of them and have entered my card. Thank You for a chance to win. Finally figured out how to post a pic of my card...loved all the cards done for the blog hop! There's so many creative people in this world!! Thanks for a wonderful blog hop! I have just added my challenge entry. I'm now off to add my challenge entry. This challenge is really awesome! Lots of fab washi projects this week. Thanks for the blog hop and all the inspiration! Wonderful blog hop and I actually got a card finished for the challenge too. Thank you! Gorgeous creations on the hop! Love, love the hop! It was beautiful! What a fun and inspiring hop. The creations were fabulous. I seen some really creative projects. Oh this was so much fun all the way!! I've been so inspired and my fingers are already itching to creating more - thank you! Had a wonderful time on the hop! Great Blog Hop. Thanks for the inspiration and for a chance to win. thanks for the chance to win! my birthday is in a few days and I would love to win some prizes! What a truly amazing hop... with inspiration at every turn! Thanks for another great Stamptember event, and super challenge! All the DT cards are inspirational - I think I got a different new idea from each one. Thanks for such a fun hop, and for the chance to win! Oh and happy birthday SSS! Thanks for nice Blog Hop. I am happy to take a part in it! Thanks for the great inspirational blog hop! Such a wonderful, inspiring hop! I'm all charged up now and ready to go create! Made my card - off to blog hop. Happy Stamptember! Thanks for all the great challenges and chances to win. Love your inspiration. It has been such a pleasure going through all the lovely DT's creations. This was in inspiring hour during the blog hop! Thank you all girls! Guys you totally rock!! Wow!!!!! But I just had to say what fantastic creations there are from you all. Such a pleasure to see and a wonderful way to spend my Saturday afternoon.. smiles. I had such fun on this hop! Great ideas of course - lots of inspiration. What a fun blog hop, just uploaded a card today, too! So much fun...thanks for brightening my weekend! Wow... I did it, and all on an iPad.... Lots and lots of scrolling down to the comment link I tell ya, then again to write my own comment. Wheeew. Think I got to see everyone's.... What an inspiration. It's been fun. Back tomorrow to enter my card. Nite nite. Thanks for the fun challenge and the chances to win SSS goodies! *puff puff* what a great workout!!! Loved the hop and inspiration! Oh, so mant comments here already!! Hi all together, first a big thank you for all your stunning inspirations, wow, this was a great experience and thank you also for teh great chance you offer to us. I wish you all a wonderful time and all the best. Thank you so much for all the inspiration along the hop. I think each and every one of you are amazing!! Enjoyed the hop and entered my card. Great Hop, I loved all the ladies cards! My entry here is #307, thanks for the chance to win! Phew that was some hopping..love the great varied inspiration from all the DT's clever ladies..big thanks for sharing. I really enjoyed this hop. I just purchased some washi tape and now I have some ideas what to do with it. The designers did an amazing job!! I'm glad I was able to hop along with you today. The DT's projects were amazing and now I've got to get some Washi tape to try! So many beautiful cards ~ and some very creative ideas for the washi tape! Thanks a lot for that wondefull bloghop, there a very wonderfull card creations... love it!!! Great hop. Loved looking at all the awesome creations! Thank you for a fabulous hop. So many great ideas. I'm back to add my card for the challenge! Thanks again for the fabulous hop and the chance to win the awesome prizes! Whew! Already added my entry...just finished the hop...great inspiration and I added some new blogs to my reader...thanks for the wonderful hop! Pheeeww! I managed to post my entry in time!! Thank you so much Simon Says Stamps for this amazing event!!! You Rock!! thanks for this fabulous blog hop.. all the cards are just awesome.. now this for the very first time for me to entre in this challeng.. hope for the best. What an AMAZING blog hop! I've never used washi tape and your DT did a stellar job of showing me what I'm missing out on. :o) Thank you for the plethora of inspiration and your generous prize opportunities. :o) What a celebration! A really creative and inspirational blog hop! I've gotta get me some washi tape!! Great blog hop. I learned a lot about Washi tape and can't wait to try some of the techniques. Thanks. had fun with the blog hop, thx again for the chance to win! WOW what a fantastic blog hop!! All of you made fabulous creations, using washi tape! Thanks for this fun hop and the chance to win. Wow, what a great blog hop! That was a fun hop! All of your DT members did amazing work! Thank you for the chance to win such fab prizes! Thanks for the fabulous blog hop! I've added quite a few cards to my CASE file - so much inspiration! Thanks for a very fun hop! Lots of inspirations on how to use Washi tapes! And thank you for a chance to win such great prize! Thanks for all the inspiration and this opportunity to win such great prizes. That was some great inspiration. Thanks for the chance to win an awesome prize from an awesome company! Great to see all the washi tape inspiration.